Guys, guys, don't hate me. This list was supposed to be done like, a week ago. I don't have any excuses, it just didn't happen as planned. But I'm here now, right? So let's get this party started! Moisturizers, moisturizers, moisturizers. Everybody loves moisturizers, right? For many of us, they serve multiple functions -- revitalizing old styles, adding much-needed moisture and shine between wash days, and sometimes, they function entirely on their own as styling products. Although deep conditioners, curl definers, and leave-ins get me exxxxxtra hype (in that order), I've learned to love on a good few moisturizers. Ladies (and natural Gentlemen), never underestimate the power of an awesome moisturizer. An awesome moisturizer can mean the difference between rocking a suspect, parched looking bun and getting 4th day curl poppage. 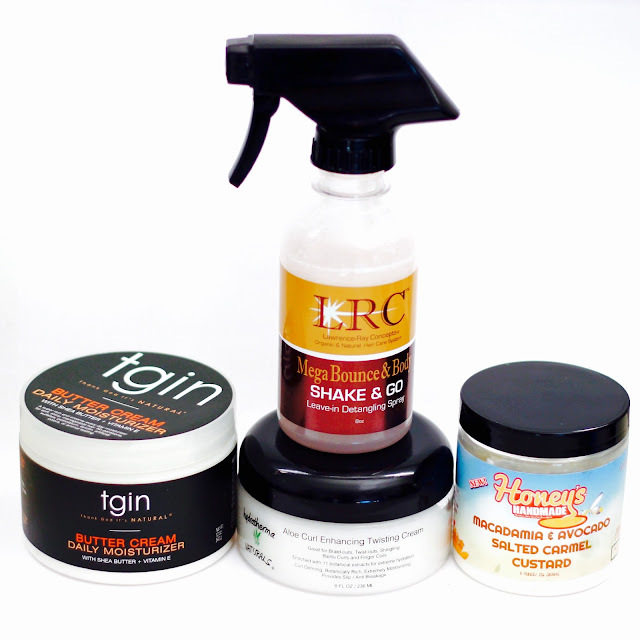 Here's my 2015 faves for keeping ashy curls at bay! I know, I know. Another product you've never heard me mention on the blog. Well, if you followed me on Instagram you'da seen this one already! Honey's Handmade Macadamia & Avocado Salted Caramel Custard is responsible for this level of curl shine realness and much more. It's a phenomenal "C" in the LOC/LCO method, is justified in its own right as a leave-in, and makes one helluva moisturizer. I mean, did you see that shine?! Oh what, you didn't click that link 3 sentences ago?! Anyway, I'm so happy that I ordered from Honey's Handmade in 2015. I found myself a keeper -- be sure to follow them on Instagram (@honeyshandmade) because you can catch a good sale or get free shipping (like right now -- free shipping through the end of January 2016). Sure, I'll add Macadamia & Avocado Salted Caramel Custard to my growing list of products to review in 2016. Just for you guys, cuz I love you and whatnot. Oh and by the way, it smells just as delicious as the name suggests. No, you're not tripping. In 2014 I listed Shake & Go as one of my favorite leave-ins. Well in 2015, I upgraded it's purpose for one reason and one reason only: cost effectiveness. As you guys know, I'm super heavy-handed with products. With Shake & Go being a liquid spray, I found myself running through it. In order to get more bang for my buck, I started using it as a curl refresher and moisturizer. Everything I said about Shake & Go in 2014 rings true in 2015 and beyond. It's one ridiculously amazing and versatile product -- and worth every penny. PS. If you're gonna do it, I totally recommend the salon bottle.Way better value. Miracle in a jar. 8oz of pure dopeness. Botanical bliss. A crusty curl's archnemesis. I could go on and on about Hydratherma Naturals' Aloe Curl Enhancing Twisting Cream, but I've already done that in this video. As a matter of fact, I warned you in that same video that this was gonna happen -- a Christina's Choice nomination! I may never use this product for its intended purpose, because it's SOOOOO darn good at being a moisturizer. Seriously, every time I use Hydratherma Naturals Aloe Curl Enhancing Twisting Cream, I have serious hand-in-hair syndrome for the next 2 days. It makes your hair shiny, soft, buttery smooth, and super duuuuuper moisturized without feeling weighed down or greasy. Ugh. I wanna stop this blog post and go use some now. It's definitely magic in a jar and absolutely worth every penny. Got the Butter Cream listed baaaaack to back! Baaaaack to back! Yep, that's right! tgin's Butter Cream Daily Moisturizer made another appearance! I love this stuff for a few reasons. It's super thick, rich, and creamy without being heavy, greasy, or super oily. It packs an incredible moisturizing punch, and I swear, a jar of this stuff lasts forever. Because it's super cost effective, and well, super effective as a moisturizer -- it landed in the rotation for my epic $5 Wash & Go. I could go on and on and on about the curl slayage that tgin Butter Cream Daily Moisturizer delivers, but that's what reviews are for. Oh, and Christina's Choice 2014 selects. 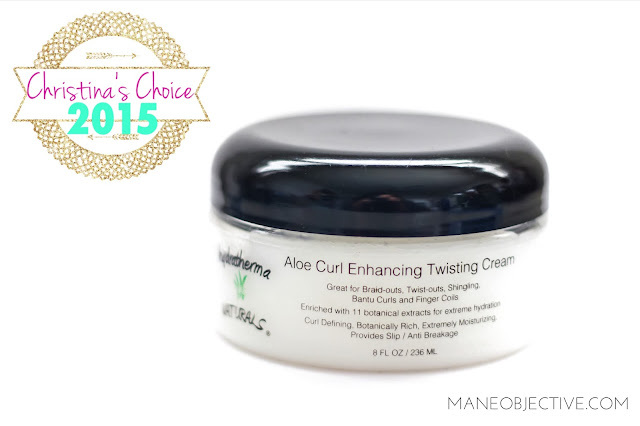 Hydratherma Naturals Aloe Curl Enhancing Twisting Cream! 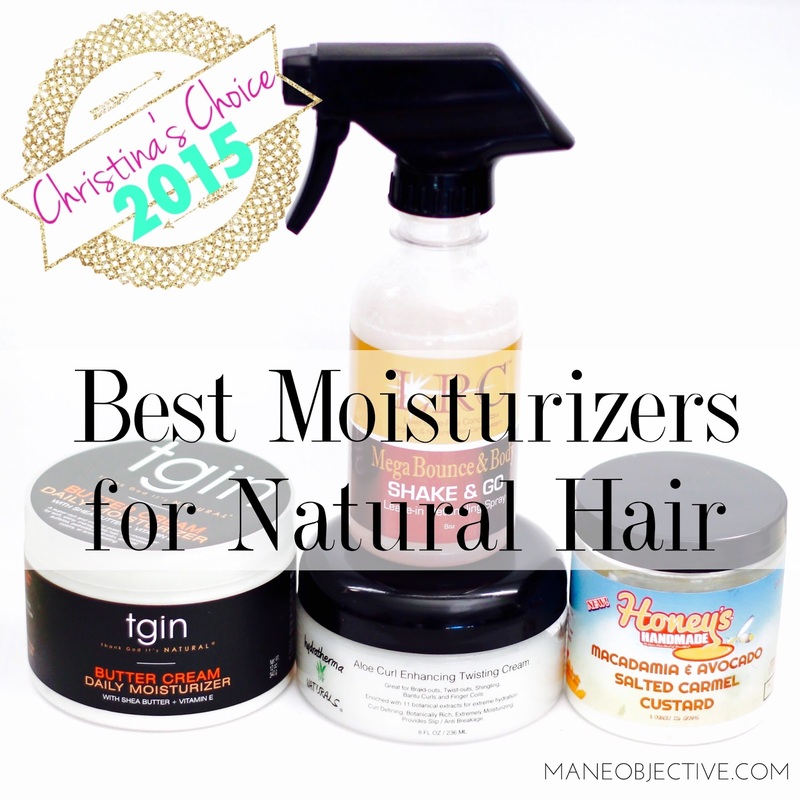 What moisturizers are winning with you into 2016? Let me know in the comments below! Up next: one of my absolute favorite things in the world... Curl Definers! Thank you SO MUCH for that love! That really warms my heart. I definitely recommend checking out @amberjanielle (I think that's how it's spelled) on Instagram. She does a lot of twist-outs, and I have yet to master them lol! I hope this helps!! !